Packing the kids into a car and heading out on a family road trip isn’t everyone’s idea of fun. If not implemented correctly, you can be setting yourself up for hours of whining, fighting, and “are we there yet?” questions. But family road trips don’t have to be chaotic and stressful. With a little bit of planning, you can enjoy the trip as much as the destination. In fact, my family often loads all eight kids into our little bus and heads out on a drive just for fun. Here are some tips I’ve learned along the way. With all eyes on you, your attitude matters. Whatever emotions you display, your family will reflect them and adapt. You set the tone. If you’re dreading the trip and complaining about how much it’s going to stink to be in the car for eight hours, you’re setting yourself up for failure. The kids will do everything you were worried about, and then some. They’ll surprise you by just how miserable they can make the trip. You don’t want that! Instead, take a couple of deep breathes. Look on the bright side. And let your kids see you smile. They need you to be strong and positive right now, even if you don’t feel like you really are. They will catch whatever attitude you display, so make sure it’s a good one. Sometimes life happens. And when life happens inside a car, you need to be prepared. No matter the length of the journey, here are some essential for a successful family road trip. If desired, you can load these items into a small plastic crate and just leave it in the back of the car. Then you’ll always be ready to hit the road. From snack wrappers to poopy diapers, you need a way to contain the garbage produced along the way. And preferably, a way to keep the smells from invading the vehicle. In my kids’ snack bags, I always give them a quart-sized zip style bag. This is their own personal trash compartment. Additionally, I throw a couple of gallon-sized bags into the diaper bag for holding stinky stuff. And a couple of grocery store style plastic bags just in case. By taking care of your trash along the way, your car will be in a much better state when you finally arrive. 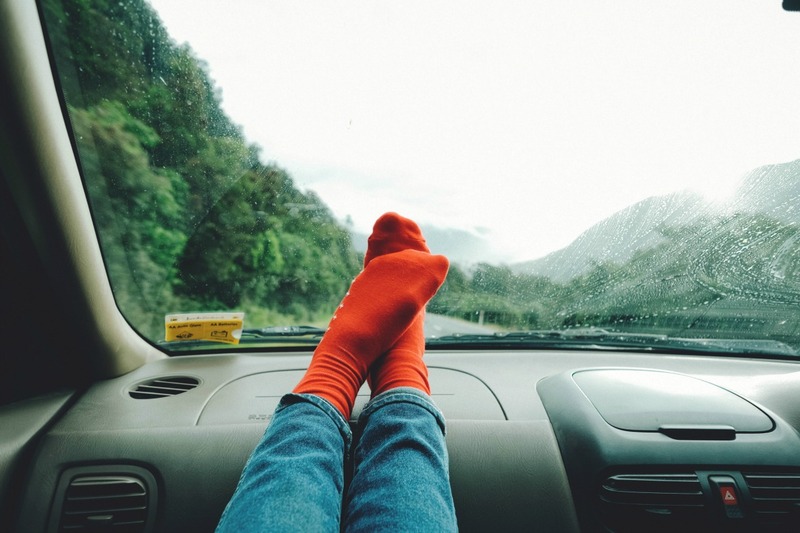 Even when we aren’t planning to spend the night anywhere, it’s important to have a full change of clothes available for everyone in the car. Or any number of other problems will occur. Especially when you’re traveling with kids, who can be a bit unpredictable. Being stuck in the car in dirty or wet clothes makes the trip very uncomfortable, so pack a duffel bag with one set of clothes for everyone. Also, you know your kids best. If you have one who is prone to being messy, or a baby or toddler, throw in a second set. That way you don’t have to stop at a Wal-Mart along the way and buy new clothes. That’s never fun. Baby wipes clean up several things, so keep a pack in the car even if you no longer have babies. You can use them to quickly wipe a face or clean a sticky steering wheel. Keeping these inside a zip style bag helps keep them from drying out. While we’re talking about baby wipes, let me remind you about diapers as well. I made the mistake of not checking my diaper supply once before hitting the road. Of course, I found out as soon as I needed one that I was out. Always check your diaper stock before leaving the house if you have a child in need of those. Your cell phone won’t work everywhere. And if you’re dependent solely on your phone’s GPS to get you where you need to go, you may run into trouble. Especially if you’re traveling through rural areas. You can pick up a state map at the gas station for a couple of bucks and just leave it in your glovebox. Hopefully you won’t need it. But, if you do you’ll be thankful it’s there. Kids typically whine for two reasons. They’re tired, or they’re hungry. Keep some shelf-stable food on hand to take care of the second one. You also want water on board. Before a trip, I typically grab a large pack of bottled water to throw in the back of the bus. Then it’s there for whenever someone is thirsty. You may decide just to keep a small first aid kit in the car like I do. But, at a minimum, have a few Band-Aids in the car. You never know when a scratch (or a worse injury) will happen. With young kids especially, a Band-Aid can mean the difference between a breakdown and a calm trip. Many rest stop bathrooms don’t have soap. And after using one of those, you really need to wash your hands! Keep a small bottle of hand sanitizer on hand to help keep everyone sanitary while traveling. With all those essentials, plus whatever luggage you need once you finally arrive, you don’t want to have to worry about bringing along materials for car games. Yes, there are lovely printables you can find online. And games that require you to prepare in advance. If those are your style, go for it. If not, here are some of our family’s favorite material free road trip games. They help pass the time on even the most boring road. Is the cup half-empty or half-full? In this game, it’s both! The castle stood before us, ready to explore. My dog just started talking. We’re heading out on a family adventure. I just unburied a sealed box at the beach. He refused to talk in front of my mom. We forgot to gas up the car. I don’t know how to open it. There was a key under the doormat. He loved talking to my sister. There was a gas station right down the street. Dad is pretty good with tools and I think he can help. The story continues, with each addition alternating between fortunately and unfortunately. When the story line seems sufficiently wrapped up, have a different player start again. This game does work best with three or more players. If you only have two, you’ll have to occasionally switch up who says fortunately and who says unfortunately so you aren’t stuck with the same one the entire time. Pick a player to go first. This player looks out the window and secretly selects a common object. Then, every time your car passes that object, the player counts up. The first time it’s seen, they say “one.” The next time, “two” and so on. Everyone else must try and figure out what’s being counted. They call out items and the counter says yes or no, while continuing to count up when the object is seen again. When someone guesses correctly, let another player pick and start counting. In this game, one player secretly selects a person or character that the rest of the family is familiar with. Then, everyone else tries to figure out who it is by asking yes or no questions. In two or more movies? Continue asking questions, trying to narrow down who the player is thinking of. If you’re playing with younger kids, you might add a rule where every ten or twenty questions a clue is given. That keeps it from being too discouraging. When someone guesses the secret identity, let another player pick one and start again. If your family enjoys singing, this is a fun game. One person picks a word. Then, players take turn naming songs with that word in the lyrics. The special word does not need to be in the title. As players name each title, sing the song. See how many songs you can sing that include the word. We allow all variations of the word (so if your word is sing, singing and sings count as well). Play until your voices run out or you get bored. Here are some more car game ideas. Kids (and you too) don’t do well sitting still for extended periods of time. They need to be up moving and using their muscles. They need to burn off their energy! On a family road trip, that means you really need to stop at a minimum of every couple of hours. Give everyone a chance to get out of the car, stretch, and enjoy not sitting down for a little bit. My favorite place to stop is at a nearby park. I just use my smartphone GPS to get me someplace or stop at a gas station and ask for directions. At the park, I let my kids run and play for about ten minutes. It’s not a long time, but it’s enough to get the blood flowing again. You may get some strange looks from other people, but you probably won’t ever see them again. Get that movement in, even if you look a little silly doing it! 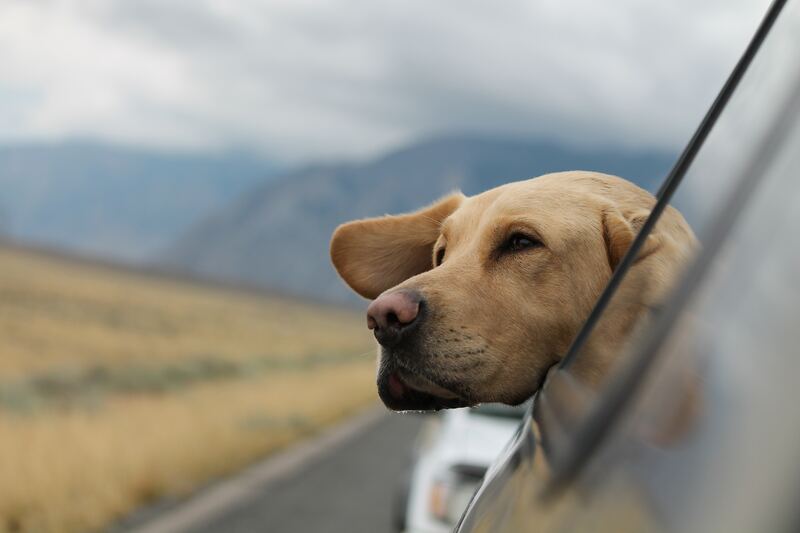 Family road trips aren’t something that happen every day, so make them enjoyable when they happen. 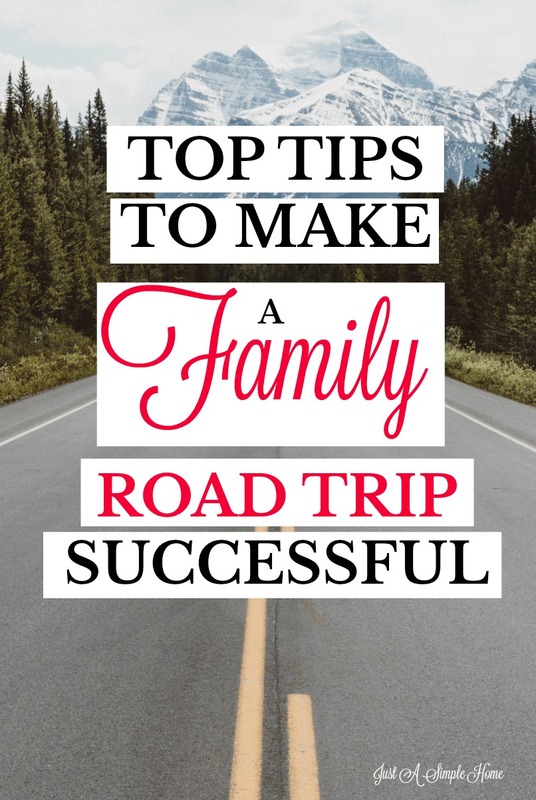 These tips will help keep you sane and help you enjoy the time with your family without relying on technology to entertain everyone along the journey. What are your best tips for family road trips? Please share them below. As a homeschooling mom of eight and a mompreneur, Lisa Tanner knows the art of balancing diapers and deadlines. She loves helping other moms tame the chaos and enjoy life. 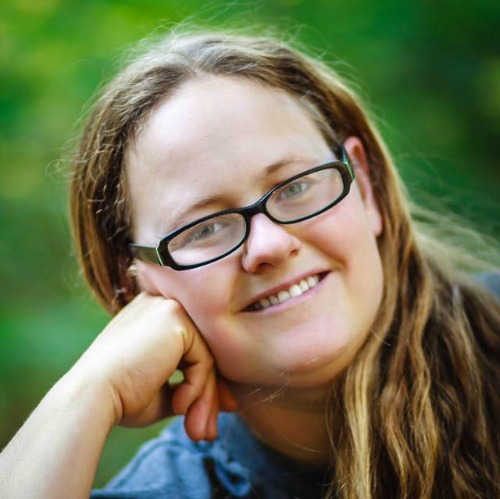 You can find her best tips for juggling it all on her blog, Lisa Tanner Writing.